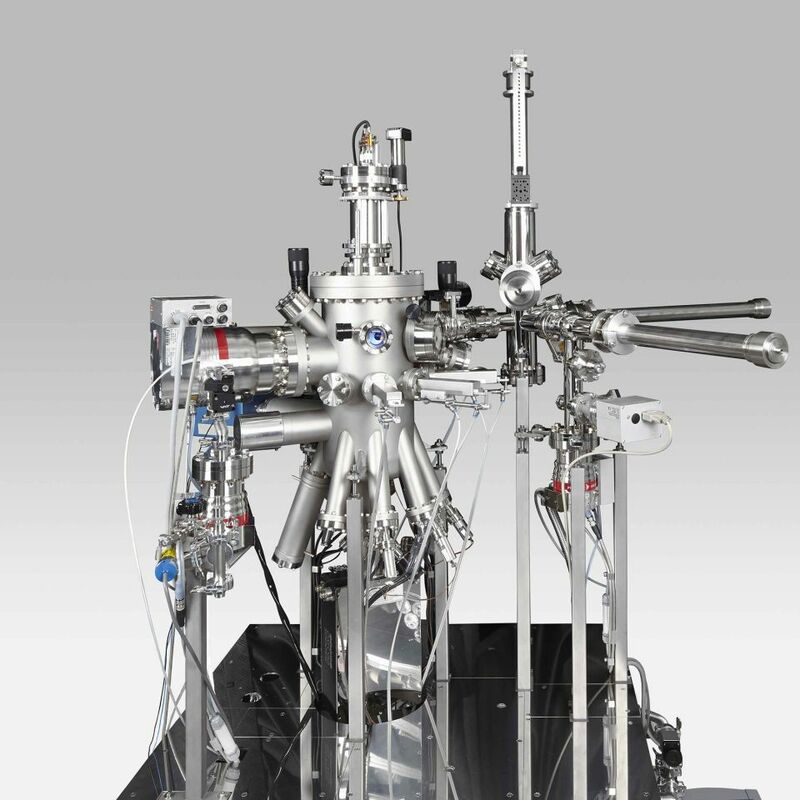 The MiniMBE System is specially designed for epitaxial growth on small sample sizes in combination with a reduced size of the system. The system consists of the growth chamber for growing layers by MBE, a load-lock chamber and an optional buffer chamber. The growth chamber contains effusion cells, manipulator, cooling units, transfer to the load-lock chamber, pumping equipment and other necessary instruments. 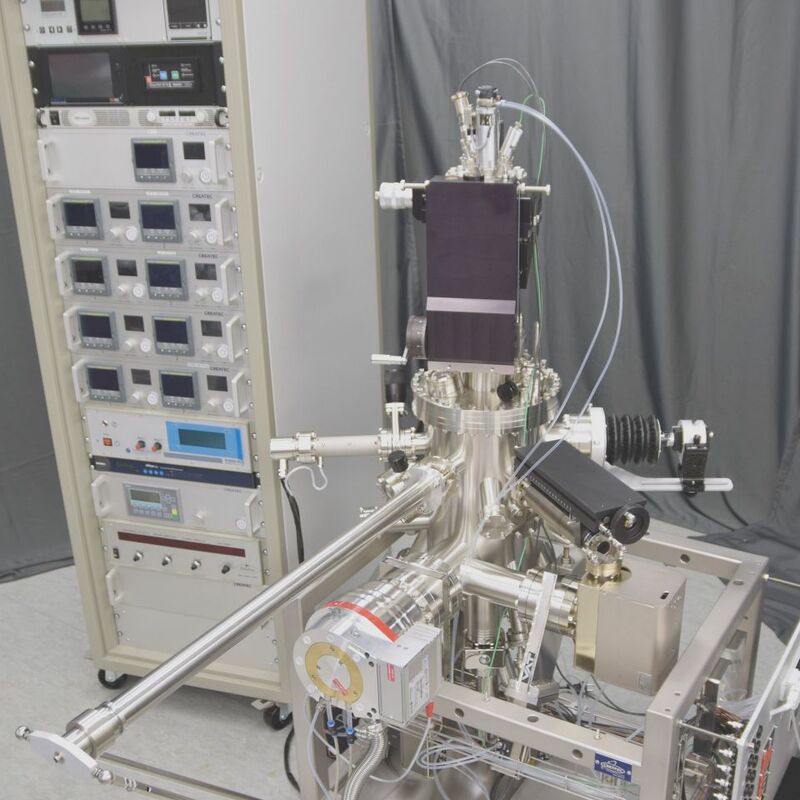 The MiniMBE System with LT-STM/AFM is specially designed for epitaxial growth of thin layers or multilayers and in-situ investigations with LT-STM/AFM. The combination of two major parts of CreaTec‘s product range gives us the opportunity to create a flexible device. 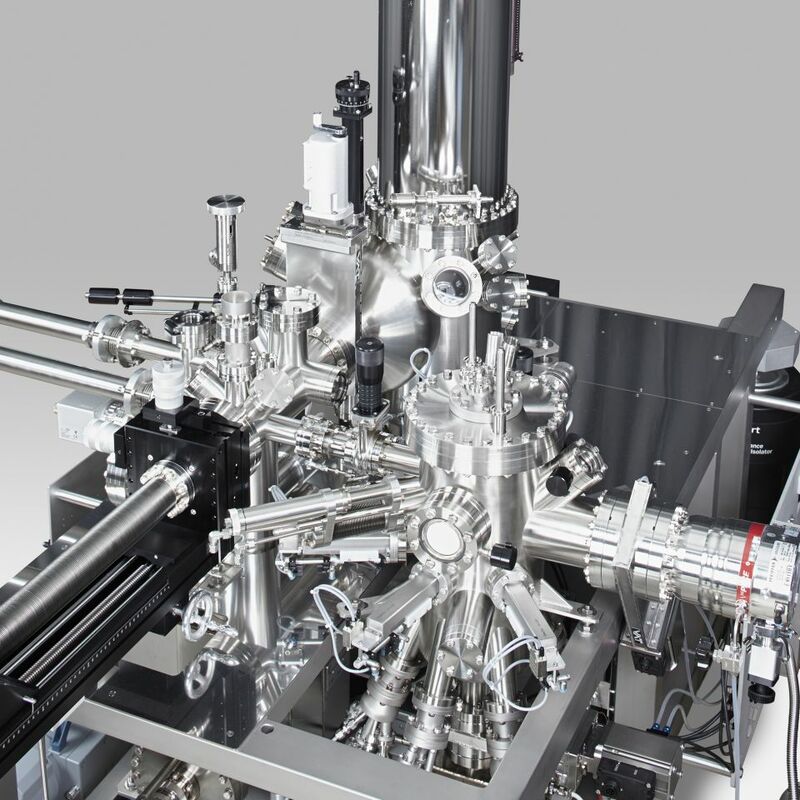 The MiniMBE with LT-STM/AFM can easily be adapted to special requirements.